Truly lovely! 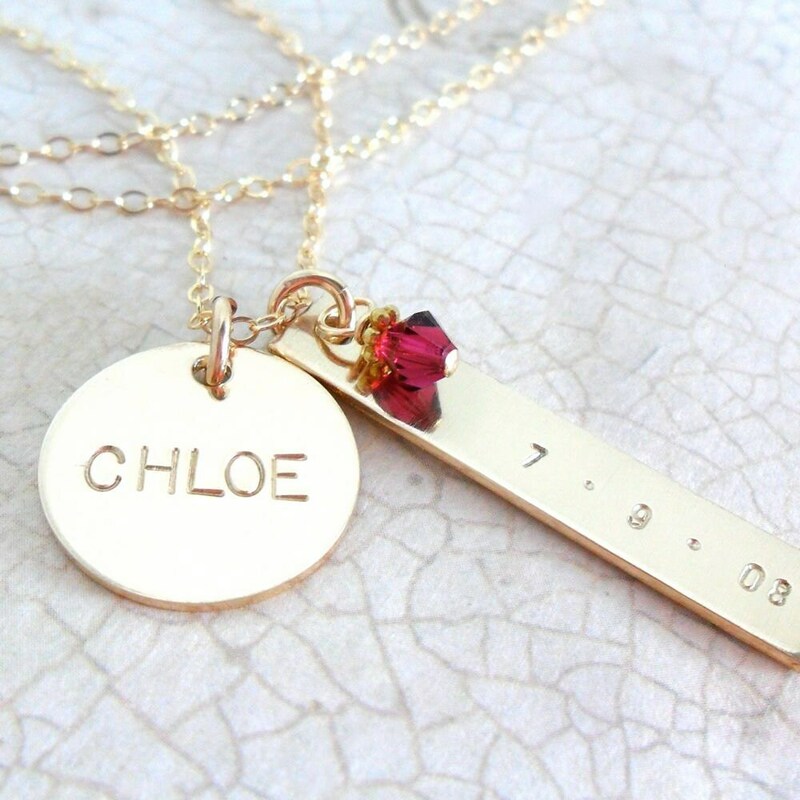 The perfect gift for mom--pairing baby's name and birth date with his or her birthstone in this beautiful gold fill charm necklace. 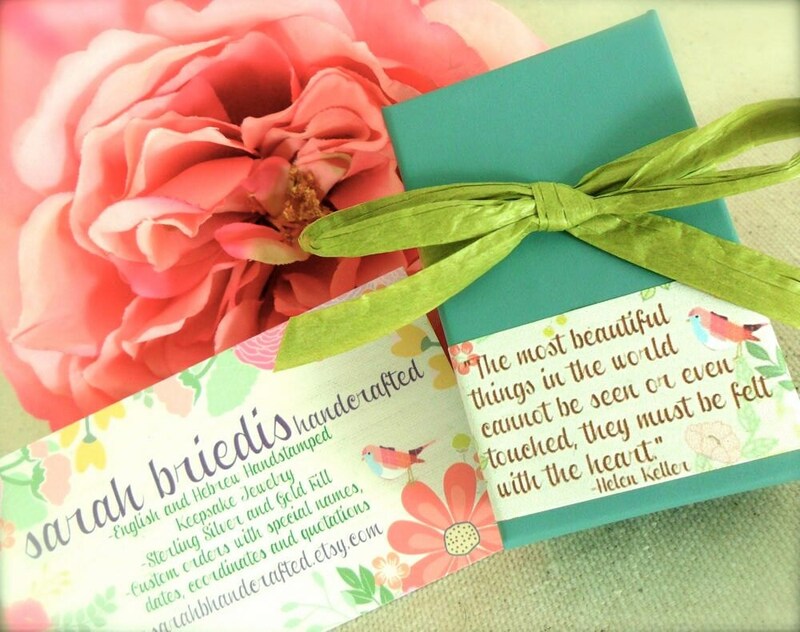 This necklace pairs together two classic pieces--a 5/8" disc and a 1/4" x 1 1/4" bar. Both pieces are 18 gauge, thick gold fill. Shown in this listing is a disc with hand stamped name (classic block font) and a bar with custom date (tiny font). Accenting the bar is a 4mm Swarovski crystal bi-cone birthstone. Name and date have been left unoxidized (no blackening of the characters) for a very sophisticated feel. 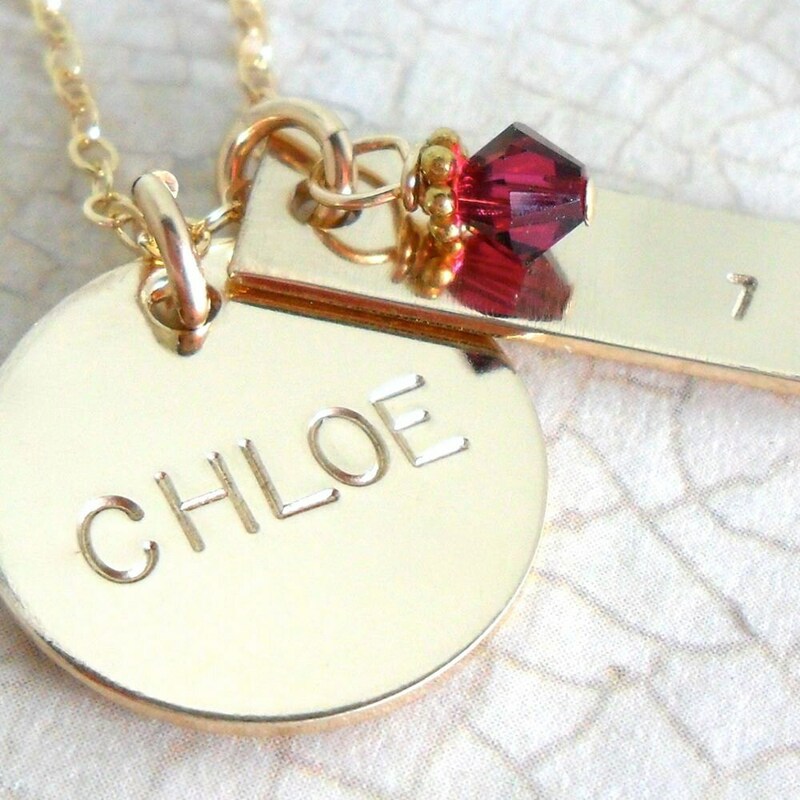 Necklace will arrive with your choice of 16", 18" or 20" 14K gold fill delicate cable chain. 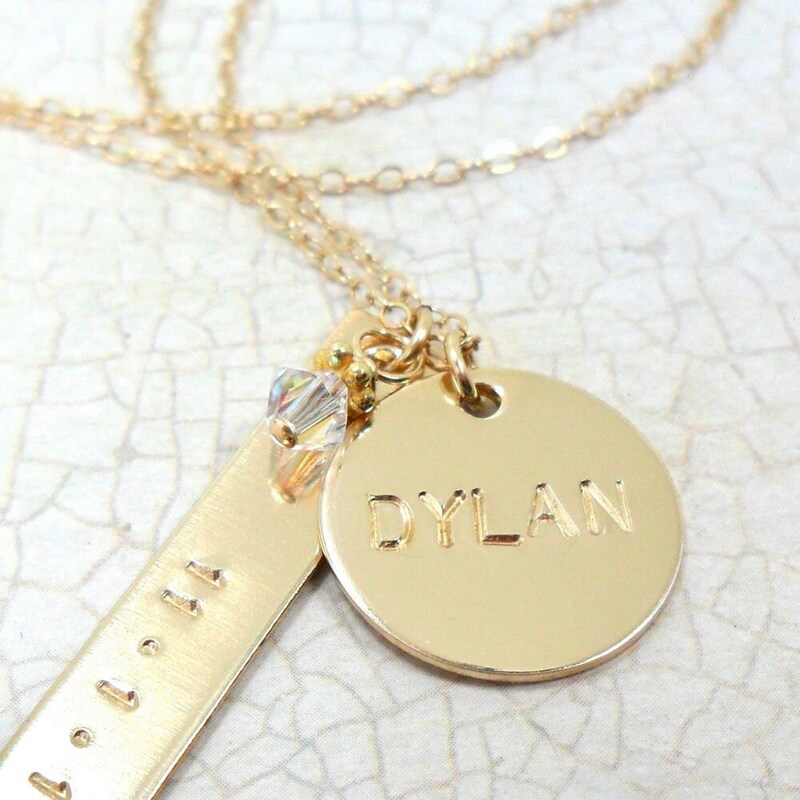 Any font from my shop may be used on this necklace! Date fonts are either the "tiny" as shown, or my "classic block." Unless otherwise specified the date will be stamped in my Tiny font and the name will be stamped in Classic Block. 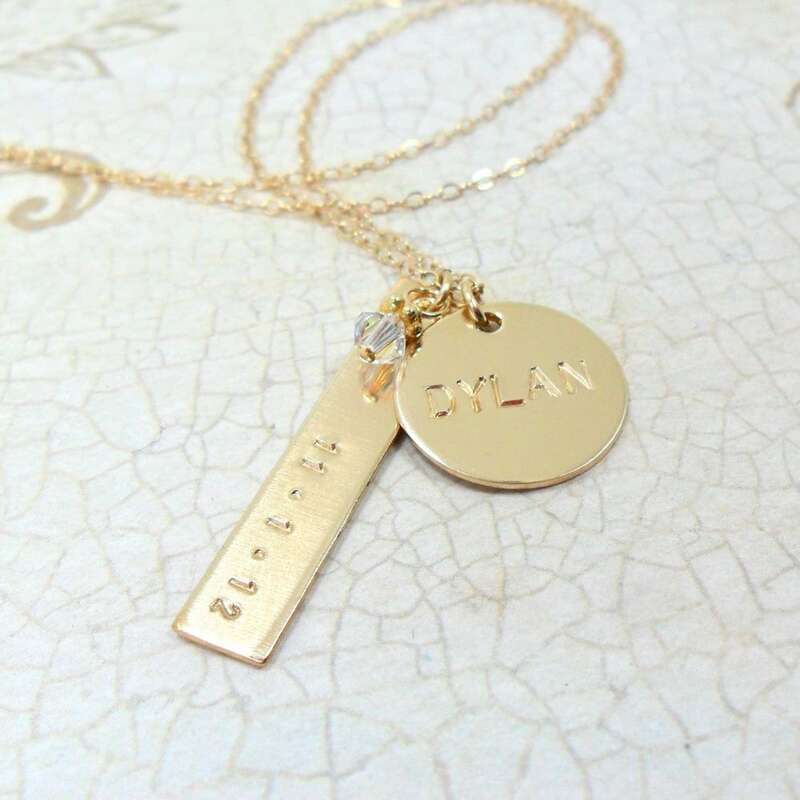 If you have questions concerning whether your name, date or phrase will fit these pieces, please contact me via Etsy's conversation feature!